This entry was posted in Nature, Photography, Winter and tagged Frost, Nature, Photography, Sunrise, winter. Bookmark the permalink. And coming our way, too. -20F windchill tonight… brrr! 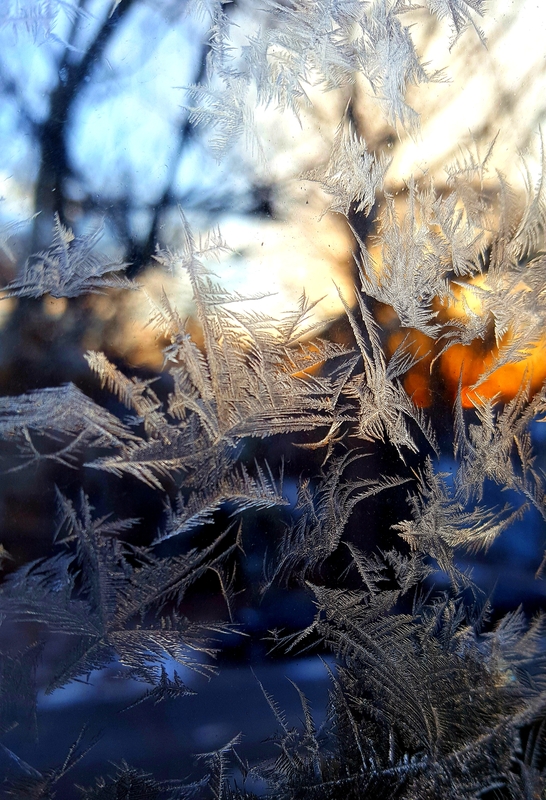 You have the prettiest frozen window photos. Stay warm, Julie.